Your cell phone tells a lot about you. Just like your dressing sense, it express your individuality. 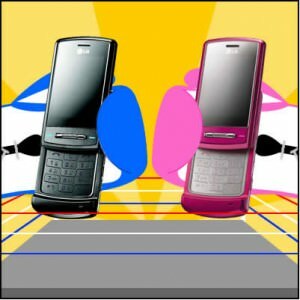 You can be termed as cool or hip on the basis of your choice in mobile phones. So if you’re a music lover or a top notch business executive on the go, there are different model of cell phone that satisfy your needs and is compatible to you and your connected lifestyle. For some cell phone users, texting or listening to music is important and they prefer cell phones that boost these features in their mobile phones, fashion gurus and trend setters rather go for colors, style, vibrant color screen instead of functionalities since admiration factor counts a lot in making fashion statement. For tech savvy ones, style is the least important criteria and features such as capability of high speed data transfer, Bluetooth makes them spend happily on these gadgets. Busy executives are into phones that have huge space for address book, capability of conference calling, QWERTY keyboard to support their hectic business lifestyles. Some people just like their cell phone to be basic and simple, just like them. Not just the cell phone but cell phone accessories customize your cell phone according to your taste. Pretty pinks and blings are popular among teenage girls and kids prefer cartoon characters dangling from the cell phones. Cool cell phones covers certainly catch attention and there is a trend developing to dress your cell phone according to your mood or cloths since it’s fun to indulge in these accessories. Cell phone rings, wall papers all define personage styles and mobile companies that cater to individuality along with quality are gaining loyal customers. Companies such as Nokia, Motorola and Samsung are mobile users preferred choices because they offer wide varieties with different specifications and choices. So next time you see a stranger with a cell phone, guess their life style trend and taste according to cell phone and you’ll be surprised to find how many of your guesses are correct. On internet, there are many cool quizzes even that tell whether you’re adventurous or fun according to your phone or your preferred choice in phones. This goes to show that tiny cell phone in the palm of your hand actually makes a big statement about you. So choose carefully when it comes to buying the cell phone as it shows lot more than just text messages and picture, it shows you.